The global advanced glass market is poised for solid growth and is likely to be worth more than $110 billion over the next six years, said a new study. It should surpass 85 million tonnes at end of 2024. Rapid industrialisation and urbanisation rate in China, Brazil and India, along with favourable government schemes to boost infrastructure development will support growth of housing, construction and automotive industries, thereby stimulating advanced glass market demand, according to a new research report by Global Market Insights. Rising environmental concerns pertaining to carbon emissions and energy efficiency along with shift in consumer preference towards green buildings and safety products should positively influence advanced glass market growth, it stated. Enormous movement of migrants to western countries with regulations regarding environmental concerns enforced by REACH (Registration, Evaluation, Authorisation and Restriction of Chemicals) and EPA (Environmental Protection Agency) for residential and non-residential buildings, should drive advanced glass market demand. Introduction of guidelines by LEED and FEMA pertaining to safety applications along with rise in per-capita middle class disposable income and living standards of consumers have further surged advanced glass market demand, it stated. North America, with steady growth in the US advanced glass market size should surpass 2 billion sq m during the forecast period. Shift in builder’s trends towards environmental protection, safety, natural insulation and security in the buildings along with widespread of usage of recyclable and environmental friendly materials should positively influence regional industry growth, said the report by Global Market Insights. 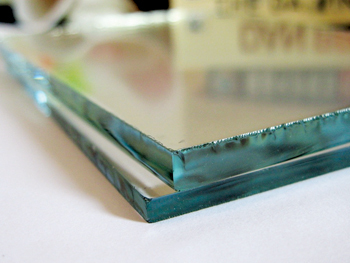 Advanced glass possesses various characteristics such as superior solar control performance, transmission and absorption properties, thereby enhancing the energy effectiveness of the buildings, resulting into increased advanced glass market demand, it stated. According to the study, laminated glass market demand from automotive windshield application is likely to register gains at over 6.5 per cent by 2024. These products are widely used in the windscreens as they offer improved driver vision during bad climatic conditions such as ice, rain, mud and fog, it stated. The products are resistant to impact and shock with the ability to absorb sun rays up to 99.9 per cent and minimise UV transmission. Increasing automotive manufacturing base in China and India, and established transport industry in Europe along with visibility and visual comfort, thermal comfort, acoustic comfort, style and taste of these products in vehicles should positively impact advanced glass market demand, said the report. Key raw materials such as natural gas, soda ash and silica along with specialised mechanical and chemical methods are used in the production process. Demand supply deficit of these raw materials and processing cost of the product according to customer requirement may hinder advanced glass market price trend. Leading industry experts said the toughened glass market demand from greenhouse applications is poised to top $1 billion during the projected timespan. The product is used for both walls and roofs for agricultural greenhouses, they stated. Superior properties such as high transparency and high conductivity of light and heat along with allowance to trap energy into greenhouse to warm air, plants and water, should catalyse advanced glass market growth, they added. Prominent manufacturers in advanced glass market space include NSG, Guardian Industries, Saint-Gobain, Glaze-Tech Industries, PPG Industries, AGC, and Sisecam Group.